Store Credit Cards: Good or Bad Idea? I’ve played this game before, going for the discount, getting the card and then dutifully either cutting it right up or storing it away in my nightstand drawer to resist the temptation to spend. But this time I wasn’t so sure I’d go for it, and here’s why. 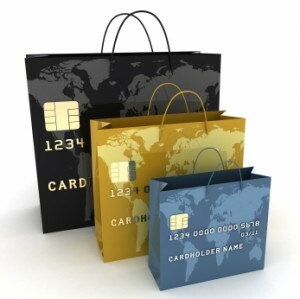 If you are fiscally responsible, store credit cards can be beneficial. You can take advantage of the store’s promotions, discounts and other perks – provided you keep up with the payments and the card rewards that can save you money. Store credit cards also can help boost your credit score and improve your credit history. Paying these monthly bills on time works to your advantage, and a long-standing account with no outstanding balances will be looked on favorably by the credit rating companies. The best store credit cards are co-branded cards, meaning store cards that bear a Visa, MasterCard, Discover or American Express logo. This is because they can be used at any place that accepts major credit cards. And these cards often have reward programs where you can redeem points for cash, discounts on future purchases, or even airline tickets. If you’re thinking, “Where do I sign up?”, you may want to take a closer look at the fine print. Store credit cards typically have higher interest rates. How much higher? 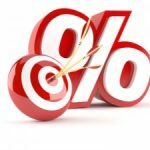 According to CardRatings.com, the average store credit card interest rate is 24 percent. In contrast, regular credit cards have an average annual interest rate of less than 15 percent. It’s also more likely that your store credit card will have low credit limits. This makes it easier to max out the card, which can lower your credit score. If you quickly max out the card and can’t pay it off right away, outstanding balances could become a red flag to other creditors, who may then increase your interest rate and lower your credit limits on other credit cards. And did you know that, every time you apply for a new credit card, it automatically instigates a hard inquiry on your credit report? This also negatively impacts your credit score. Even if you’re like me and immediately cut up the card or throw it in a drawer and forget about it, the inquiry can stay on your credit report for up to two years. If you’re planning on taking out a major loan such as a mortgage, this can affect your loan eligibility and monthly payments. What’s worse, even if you try closing a store account, it will remain on your credit report for seven years. That’s quite a long time for a high interest rate card with a low credit limit. And if you’re one to spend to your limit, rather than cut up or put away the store card the day it arrives, you could be in for some very bad days when those bills start arriving and piling up. If you’re an impulsive shopper who has trouble paying off credit card bills in full each month, resist the urge to open a store credit card to save that 10 percent. In the long run, you’ll most likely eat that savings and end up spending more. Why Doesn’t Sam’s Club Accept Visa Credit Cards? They are a mixed bag. When you pay off your balances every month, some are really worth it because of the offers. Others are annoying because you get a ton of junk mail (both postal and email)and the discounts are not worth your time. My favorite is my Old Navy card. I have a 12 year old daughter that loves the store. I receive special discount offers about every 6 weeks from them that are worth it. The best was last fall “get a kids item free for each adult item purchased”. I usually log into the account 2 or 3 days after my shopping trip and pay the balance just as if I had paid cash. Also, they don’t send me annoying email ads. To me they are a ripoff. To my wife they provide ways to get discounts on needed items. So while I hate getting bills for 48.97 each month, as long as we can pay them off in full and not pay 20+% interest each month, I’ll deal with the inconvenience and enjoy the savings!